No matter the kind of floor, the best approach for leaving it beautiful and in good shape is maintenance. The method of care will be determined by the kind of floor finishing you have. For instance, parquet and hardwood floors are rough. A tongue and groove is cut into their sides after planning for a smooth finishing. Engineered flooring on the other hand is made from the compression of many layers of wood, which can be laid directly on the concrete of the flooring. These are to be taken into consideration when planning your maintenance strategies. Generally, a considerable amount of maintenance effort is needed to keep your flooring in good shape for years to come. When hovering wooden floors it is recommended that you use a brush attachment, as beater bars can damage a floor’s finish Wooden Flooring finishes should not require anything more than sweeping and vacuuming. 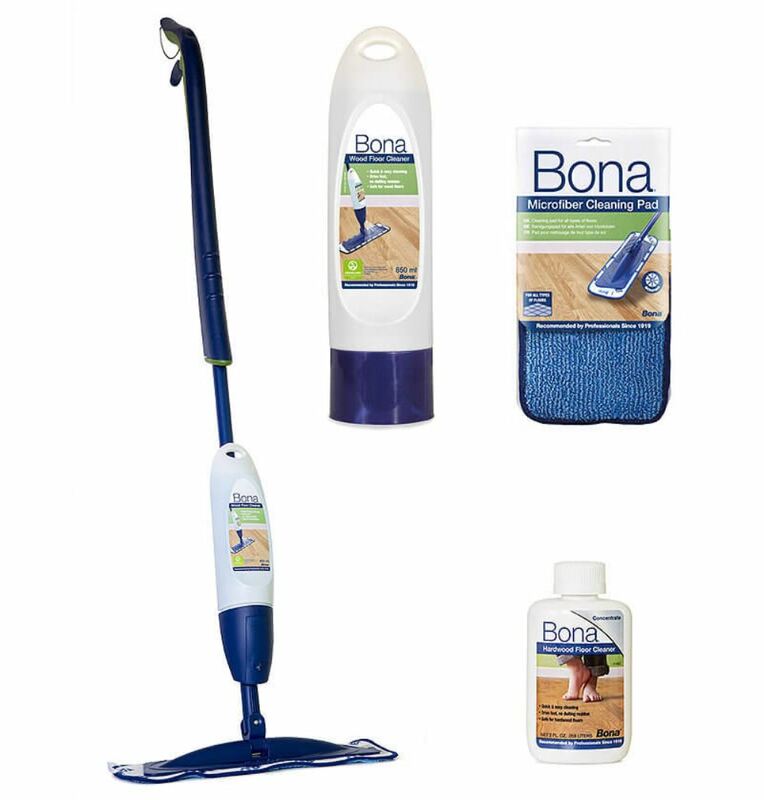 Simply sweep, vacuum or dust mop at least once a week to minimize damage caused by dirt, sand or grit. If required, mop lightly with wood floor cleaner and dry mop after. Water is a big threat to hardwood floors. This is mainly because it can cause warping. Therefore, spills need to be cleaned up as soon as they occur so that water won’t be able to get in and damage the floor. Always wipe up drink or fruit spillages straight away, as such spillages can also result in permanent dis colouration. When mopping the floor you need to ensure you use a mop that is only slightly damp. Don’t forget to keep mopping to a minimum to ensure you are not exposing your floor to excessive wetness. Regular sweeping with a soft-bristled broom will prevent the dirt that can scratch or dull a hardwood floor from building up and rining their appearance. If required we can supply a maintenance pack, which includes 1 x litre of revive lacquer, 1 x Gap filler resin in tube and 5 x 120 grit abrasive pads. Just ask for details. Always allow your new floor’s lacquer to cure; the curing process is about 5 days so try your upmost not to apply water or any cleaning products to the finished sanded floor during this period. Pets are loved members of the family, but long claws on dogs and cats are a sure way to put your wooden floors in danger. Keeping their claws trimmed is the best way to avoid scratches that pets leave behind, whilst innocently playing around the home. Aside from pets, floors can also get damaged by footwear; stilettoes and high heels are the major culprits, but studded sports shoes are also a problem on the wood. Avoid wearing heels in and around the house, and don’t try on your sports shoes on the wooded floors. A beautiful stiletto heel can turn heads, but can also destroy your hardwood floors. Try to lay a rug or matt by your main entrances of your property. This will allow people to wipe their feet upon entry, and prevent constant water on the floor from perishing the varnish slowly. NEVER use cleaning products with bleaching agents as this will cause damage to the lacquer and make it wear down much more quickly than it otherwise would. 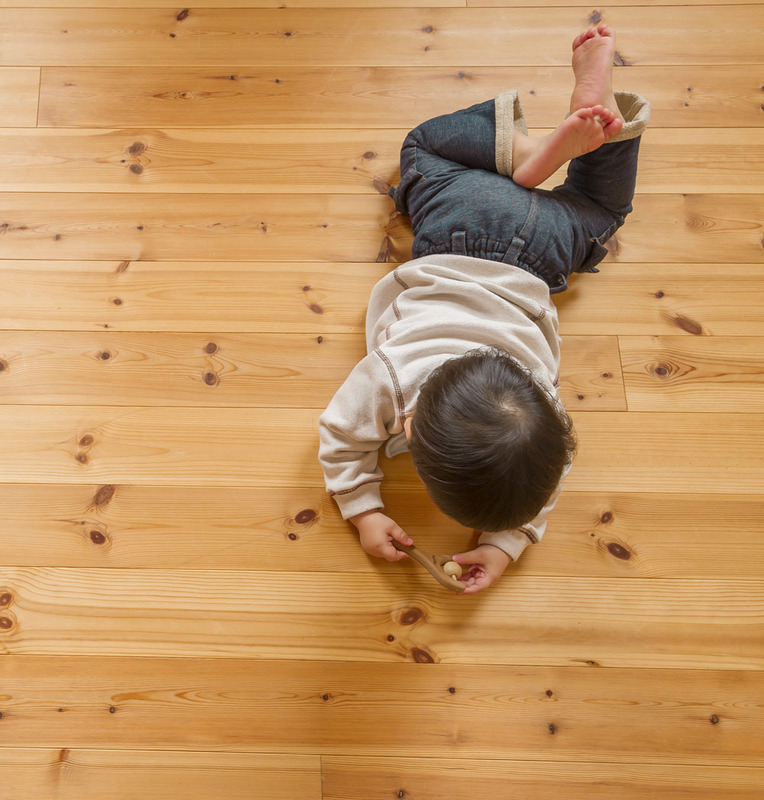 One of the biggest threats to solid wood flooring is scratching and marks from furniture legs. To maintain the beauty of your hard wood floors, you need to shield the floor. Protecting your floor from furniture scuffs and scratches is easy; just buy some felt furniture patches for the feet. These tips can be fitted to furniture with the aid of a non-damaging adhesive and serve as a cushion. Having this adhesive cushion does not mean you should drag your furniture across the floor instead of lifting it. Even though these felts protect the floor, they don’t offer complete protection. They can also fall off or become won down. Sliding your furniture without knowledge of the fact that the tips are gone will leave you massively disappointed when you see a scratch across your floor. Consider applying self-adhesive felt pads to the bottom of large toys as well. This will again stop scratches if an item is dragged across the floor. Regular cleaning is very important. You should form a habit of constantly cleaning your floors. It should be swept or vacuumed daily to remove dirt and grit. Apart from keeping your rooms clean, this practice will help ensure the grit is not trodden deep into the woods of the floor, where it gets stuck and causes tearing, while becoming impossible to remove. More attention should be paid to high traffic areas like in front of doors, tables, and so on. The best approach is to make sure any incoming dirt is prevented – or at least kept to a minimum – by purchasing doormats so that shoes are cleaned before coming into the house. In fact, you should get one for outside and inside all rooms. Mop floors with soaking wet mops so that the cleaning products get to touch the floor adequately for better cleaning, but not on wood floors. Whenever you need to move pieces of furniture around for floor cleaning, make sure not to slide them across the room. Lift and place them where required. Also, any furniture that makes contact with the floor should be placed with floor protectors; replace those protectors as often as possible to avoid scratches on the floor. More important than just maintaining your floors is knowing which maintenance practice is counter-productive – especially in regards to cleaning and the products used. Floor cleaning best practices are determined by many factors – one of which is of course the type of floor you’re dealing with, as well as your personal routines. Lighter floors have a higher tendency to wear and tear than dark ones. Therefore, they will require more care and devotion from you. However, consistency is key in achieving longevity for your sanded and finished floors. Regular cleaning of your floors is very important. However, what gives that long lasting quality is when you set aside one day each month to carry out a deep cleaning. This type of cleaning will target the parts of the floor that are not given ample attention, and in a way that regular cleaning (with its standard cleaning products) cannot touch. Once the task is complete, your floors will have a radiance that was absent during regular cleanings. Deep cleaning ensures your floors are always looking their best over a prolonged period of time. This is why you should slate a monthly, thorough and deep cleaning for all your floors – especially rooms that are mostly in use (like the sitting room for example). Using a microfibre mop, damp-mop your floors once a month; to do this, apply a recommended hardwood cleaner on the mop and mop around the floor, making sure to take your time to adequately cover the whole area. Ensure you don’t use too much of the substance on the mop, as this may prove counterproductive over time. The recommended method of cleaning engineered floors is via dry cleaning. Remember, they are very sensitive to moist. Therefore, vacuum clean them, instead of using wet mops. Once in a while, when you notice your floor needs more attention than vacuuming and sweeping, you can use a wrung-out mop to clean the floor. This way, it takes less time to dry – almost immediately after mopping. You’ll know you’ve used the right amount of water if it doesn’t take more than a few seconds to dry. To get the right results, use recommended cleaning products alongside the mops for all your engineered wood flooring. As you’ll be aware to always avoid cleaning products that contain ammonia, make sure to clean out any dents immediately, using diluted water. The trouble is that removing stains and dents requires strong cleaning agents, which could lead to discoloration. It’s also noticeable since the affected areas will sharply contrast the rest of the floor. Given time, the floor stains become more prominent. The best option is to clean them off immediately with a diluted form of these cleaning agents. Use colored versions of cleaning agents, so that the floor colours are still maintained. The same goes for cleaning stains off of lacquered flooring. The same methods that work for engineered floors usually apply to laminated floors as well. They are different however, as laminated floors are made out of high intensity fibre, instead of real wood. It has an upper layer that is designed to give the floor a type of wood look. When you notice any moisture on the floor, clean it up immediately with a damp or dry mop. Developing a routine maintenance plan for your floor and following it stringently has many benefits. 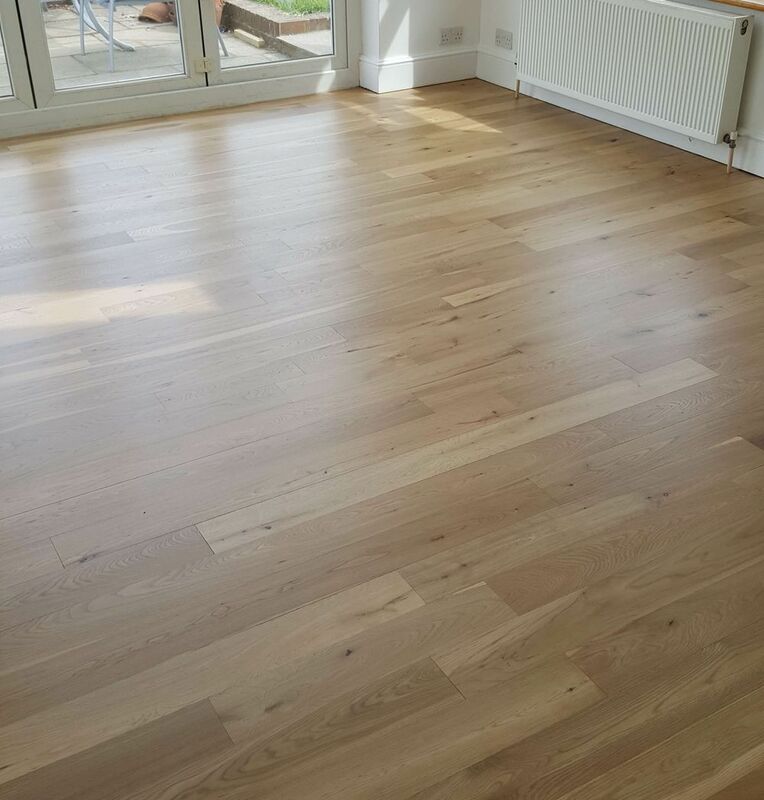 Apart from saving you money on installing a new floor after having been damaged, regular maintenance will save you time, in terms of looking for a new flooring company and going through the process of reflooring your home or business premises. Also, a well maintained floor is very pleasing on the eye. The presence of scratches and stains on the floor is never appealing to anyone. Never over-wax a wooden floor – even when it’s extremely dull. In such cases, it’s better to buff instead. Also, don’t allow for a wax build-up – especially around low traffic areas of the room. Do not for any reason wet-mop a wooden floor. The water is absorbed into the wood, which makes it expand. Contraction then leads to gaps in the wood, which you don’t want. For those who get on their knees and begin scrubbing with water and cleaning agents, you’ll be damaging the floors faster than you imagine. Do not clean your floors with vinegar, furniture polish, pine cleaners, or any other harsh substance. This will result in dull floors and make it difficult for them to be recoated. Also, never use vinyl or tile cleaning agents on wood, because they also make it become slippery and dull. Avoid walking on your floors with high heels and sports cleats. The impact of the exposed heels under a person’s weight can cause an instant dent on any wood flooring. Never place furniture on the floor without first fitting them with stick-on felt protectors to avoid scratching the floor. Also, replace these protectors every now and then for maximum floor protection.